so daylight savings time switch again. 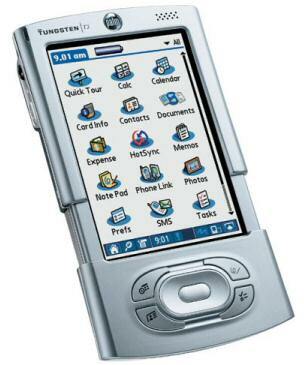 My Palm Tungsten T3 again died from battery drain while waiting for user interaction to confirm the time switch. All data lost (I have a backup but still). This time I have enough, my T3 is going into the bucket (the box with old PDAs and phones). I don't really use it anymore but I still use to carry it around with me all the time. This will stop now. another bug I found in the software of the NAS-4220-B is that you can use telnet to login to the NAS-4220-B as root without being ask for as password. This is possible right after boot of the device. The problem seems to originate from the fact that the software puts together the filesystem in ram during boot. The actual bug is that telnetd is started before /etc/passwd is populated with a root account that has a password set. Found while playing with my NAS-4220-B last Sunday. RaidSonic didn't answer my emails so here you go. Hard disk encryption key stored in plain on unencrypted partition. used for encrypting the disk(s) is stored on a unencrypted partition. NAS-4220 crypt disk support can not be considered secure. I could access the NAS after reboot without suppling the hard disk key. partition on the same disk. I noticed that I tend to use mobile internet via GPRS/UMTS more and more mostly because of my Nokia N800 and now N810. But somehow UMTS no longer does it for me, it is too slow. So I started looking for a cheap way to use HSDPA. The solution is a cheap HSDPA USB modem and a pre paid HSDPA SIM card. Last week I found a nice Huawei E220 on eBay and today I bought a FONIC SIM card for 9,99 Euros at Lidl. The price looks good 1MB/24ct. I know that if I use more then 100MB/25Euro per month a flat rate is better. I just tried it out and yes I got 120KB/s (just a quick download). Now I just need to build or get one of those USB power injectors so I can also use the HSDPA modem with my N810. Frank setup a Twitter stream for our NAS-4220 hacking activities. We are both posting on it now. heute morgen (ca. 5 Uhr) hat sich Alice dazu entschlossen meine 16Mbit/s auf ca. 5Kbit/s zu drosseln. Der Support wusste auch nicht was nicht funktioniert und es haben ca. 5 verschiedene Personen meine Leitung durch-gemessen. Ergebnis keiner wusste was los ist. Eine halbe Stunde nach dem letzten Support Gespraech war dann ploetzlich wieder alles normal. Interessant war auch das die Upload Geschwindigkeit wehrend der ganzen Zeit normal war. Schon eine komische Sache, hat mich 1 1/2 Stunden heute Abend gekostet.